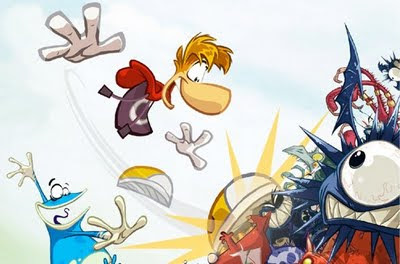 Rayman returns to his roots in this 2D side-scrolling adventure featuring high-definition graphics and fun platforming gameplay for up to 4-players. This has to be one of the best looking games at E3 bar none, and with Michel Ancel, celebrated creator of Rayman, Beyond Good & Evil and the Raving Rabbids heading up this project expectations couldn't be higher. It's been 15 years since the release of the original Rayman, and this new version brings back many of the lovable characters, revived in hi-def 2D form, to help our limbless hero save the Glade of Dreams from the nefarious Darktoons. Expect 4-player jump-in, jump-out gameplay similar to New Super Mario Bros. Wii. The game is expected to ship in Holiday 2011. ﻿Ubisoft Montreal is hard at work on the next iteration of their popular Far Cry series for the PS3, Xbox 360 and PC. While details are scarce, we do know that the game will be returning to a tropical island, this time located somewhere between the Indian and Pacific Oceans﻿. Players assume the role of Jason Brody, a man stranded alone on this mysterious island where lawlessness and violence are a way of life. The game unfolds based on player's decision to engage combat or not, and the allies or enemies they choose to make along the way. The familiar shoot, slash and sneak gameplay returns as players unravel the secrets of the island that has lost all sense of morality. Gearbox Studios is readying another Brothers In Arms game, this time taking a tongue-in-cheek approach that has clear inspiration from Inglorious Bastards. Set in World War II, in Furious 4 up to four players can follow a band of Nazi killing soldiers that use a variety of special weaponry in their attempt to eliminate members of the Third Reich. What special weaponry does Ubisoft have in mind? Well, it looks like you and your teammates will be equipped with tomahawks, electricity, a mini-gun and even a branding iron. The co-op campaign will also be joined by an extensive competitive multiplayer mode, although details have not yet been revealed. Expect Brothers In Arms: Furious 4 sometime in 2012. While already revealed months ago, a new trailer and new details on the final chapter in Ezio's triology were revealed at E3. Developed and led by Ubisoft Montreal, our assassin hero Ezio Auditore walks in the footsteps of his legendary mentor, Altair, on a journey to Constantinople﻿ in the heart of the Ottoman Empire. On a journey to recover five ancient seals which hold the secrets to the Assassins brotherhood, Ezio must use stealth or aggression against the growing army of the Templars that threaten the future of the brotherhood. Along the way Ezio will meet up with important new characters such as master assassin Yusuf Tazim, Prince Suleiman, and Sofia Sorto, who develops feelings for our assassin for hire.﻿﻿ Ubisoft has promised that a lot will be revealed during the adventure, tying up the loose ends of the trilogy. Revealed over a year ago, and now pegged with a March 2012 release date, the latest Tom Clancy game promises to deliver cutting-edge, authentic military tech and unique stealth gameplay combined with brutal close-quarter combat. Up to four players can play through 14 campaign missions ranging from the heat and dust of Africa to the Arctic Circle﻿. Utilizing an innovative new augment reality system called A.T.L.A.S, players will be able to see a display of real-time intel that provides live feedback on the evolving battlefield situation. More than 50 unique military weapons are said to be in the game, and with an unprecedented level of customization, players can configure their weapons down to the very last detail. The Xbox 360 version of the game will be fully compatible with Kinect, allowing players to use a combination of hand gestures and voice commands to draw, aim and fire your weapons. In addition to all these hotly anticipated titles, Ubisoft also showed off more Rocksmith﻿, Raving Rabbids: Alive & Kicking﻿ for Kinect, Just Dance 3, Your Shape: Fitness Evolved 2012, andThe Adventures of Tintin: the Secret of the Unicorn: the Game﻿. Lots more information to come on these games and more in the weeks and months to come so stay tuned.